It's Just Mobolaji | Music & Entertainment: Old Skool: City High - Caramel ft. Eve & What Would You Do? 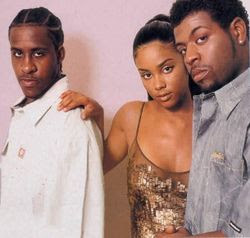 Old Skool: City High - Caramel ft. Eve & What Would You Do? WHO REMEMBERS CITY HIGH? OMG. I DO :D They were the sh*t. The newer/younger generation will not have a clue who they are. I really liked their songs, I just wonder where the hell they disappeared to : anyways, here's two of my favorite songs by them.